Joel and Dan Crannitch announced themselves as songwriters of quality with their previous band Leader Cheetah. After that band’s demise, the brothers spent the best half of a decade working on their individual endeavours. Returning to the home they grew up in, in the Adelaide hills, the siblings put together a debut full length Alive On The Black Sea for their new project San Sebastian. The Crannitch brothers don’t stray too far away from the Americana sounds of their previous output, instead choosing to add some more polished and cinematic touches. Dan Crannitch still leads the way with a voice that is reminiscent of Neil Young if he was prone to crooning. Sibling Joel was the drummer in Leader Cheetah, but has developed into an accomplished guitarist and fine harmony singer. Red River finds the right amount of twang sitting atop a bed of acoustic guitars, as the tune from the South Australian hills conjures up thoughts of circling the wagons. The more subdued Wildfire is bathed in violins and slick production from Phil Ek (Father John Misty, The Shins). San Sebastian also offer some interesting vignettes in the form of a couple of instrumentals. Tempo Del Sol would be suited to a low budget spaghetti western and Wave Of Fire is a fleeting tex-mex moment. 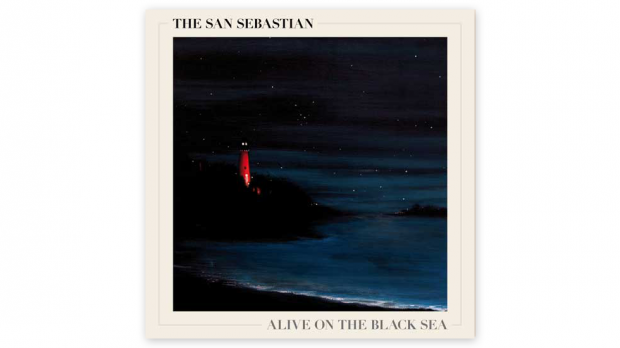 Alive On The Black Sea is full of tasty guitar lines and layered production that give the album a ‘classic’ feel. Picking up a few steps beyond where Leader Cheetah ceased, San Sebastian prove that with Alive On The Back Sea, they are already at the pointy end of Australian roots outfits.